For years now, investors and analysts have been asking Nintendo when they were going to make a move into China. If the latest round of details is to be believed, that move could happen this year. 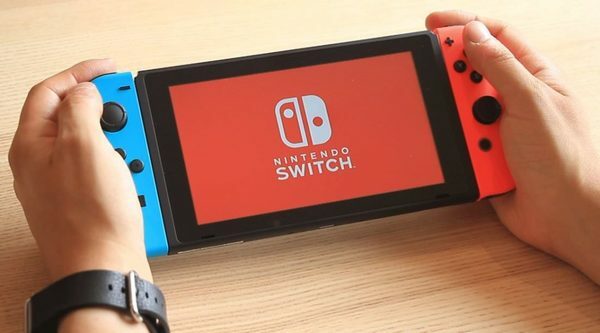 A recent series of government documents has revealed that the Switch has been approved for release in China by the Department of Culture of Guangdong Province. Even more interesting, the documents show that Tencent will be the company handling the Switch's distribution. This would be an absolutely huge move for Nintendo, and quite the unprecedented partnership. It's unlikely Nintendo or Tencent will comment on the matter until there's an official announcement, so we'll just have to hang tight and keep a watch for more documents. 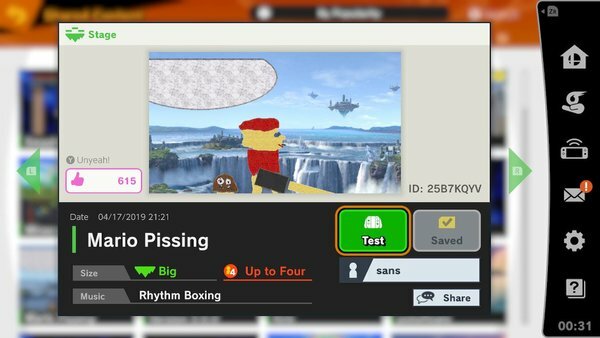 Any time you give fans the chance to build and share their own creations in a game, they always go for the most silly, rude, and offensive content possible. The stage builder feature in Smash Bros. Ultimate hasn't even been live for 24 hours, yet it's already flooded with raunchy content. The above images is about a 1 on the offensive scale in my opinion, but there's some content out there that is downright distasteful. If you're snooping through stages, be careful out there. 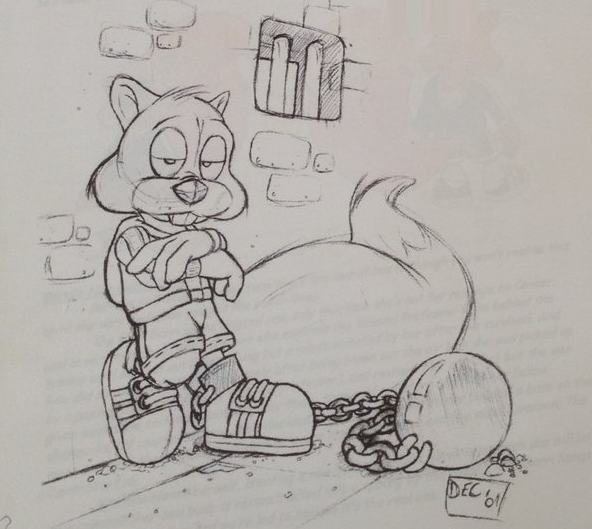 Despite being a critical and financial success, Conker's Bad Fur Day never got a sequel. That's not to say that there weren't plans for one. Former RARE dev Chris Seavor has taken to Twitter to unless a flurry of original design docs and story drafts for Conker's Other Bad Day, the sequel that never was. Check out the full rundown of content below. Thanks to Mysteryman for the heads up! 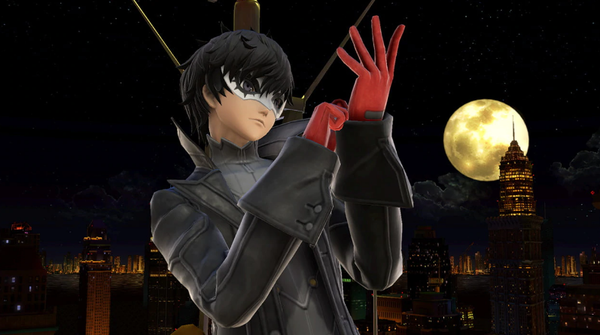 If you're giving Joker a shot in Smash Bros. Ultimate, you might want to steer clear of using his Final Smash in Classic Mode. Reports are coming in stating that the Final Smash can cause the game to softlock. If this is indeed the case, hopefully Nintendo can get a fix out quick. Thanks to TKOWL for the heads up! Hidden nods, or wishful thinking? Reggie put up another tweet showcasing a number of retirement gifts he's received, including a piece of custom art from Retro Studios. It's that piece of art that has fans salivating at the thought of teases for things to come. First up, we have the artwork for Samus. While the details are a bit iffy, it seems most fans can agree that the design of Samus is new. The head-portion seems to combine the visor from Other M, but the helmet of the Prime series. There's also a slight difference in the Arm Cannon below the elbow. Is this all just artistic license, or is there something more to it? Moving on, there's also a mystery robot-like hand in the image. This is the one that's really confusing fans, as a specific point of origin can't seem to be nailed down. It doesn't help that the Mario statue is blocking the way either! There was some dicussion that the hand is from Metroid Prime: Federation Force, but that was quickly shot down for a number of reasons. That leaves us with no clear-cut explanation as to what it's from! Last and least, people have noticed that the font in the image comes from Banjo-Kazooie. Some are hopeful that means something, but I wouldn't put much weight in that. 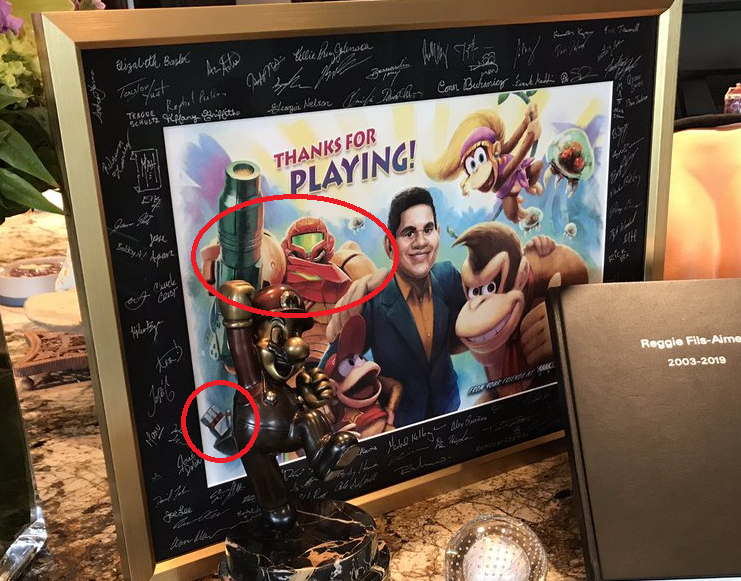 Well, Nintendo sleuths, what say you? Can you glean any information from this, or is everyone diving a bit too deep? Thanks to KingBroly for the heads up! - describes the other device variant not really as a beefed-up "Pro" but says it will be a "full model change"
- Nikkei says the production of the variant is being "held back"
The situation is a shame, considering how long we've been hearing about Nintendo's Quality of Life prospects. It never seemed to fully come together after the initial excitement. While the sleep monitor could've been neat, if the quality isn't there, that would obviously bring up a problem. Nintendo Labo director Tsubasa Sakaguchi has a lot to be proud of right now. 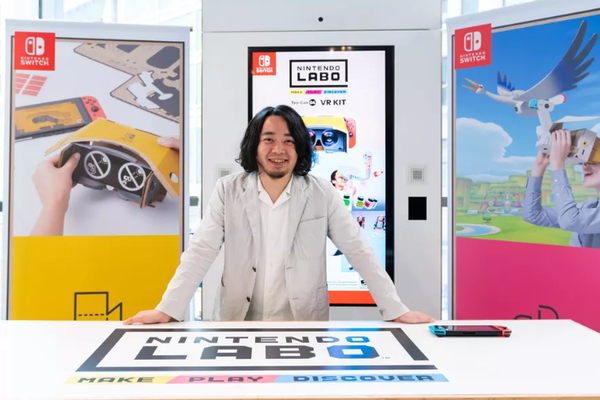 He has overseen 4 different Labo Kit creations, with the 4th being the most impressive of all. It's the marriage of Nintendo Labo's previous efforts with the world of VR, and it seems to be wooing even the most hardened critics. For Sakaguchi, the Labo VR Kit is all about bringing together tech and accessibility. Even with all the praise out there, there are some who just don't understand Labo. They won't even give it a second look, and wrote the series off as soon as the trailer for the first Kit debuted. While Sakaguchi would love for more people to embrace Labo, he admits that it's something people have to go hands-on with to understand. As you might have guessed, the Labo team has worked on all kinds of different ideas and prototypes before they got to what is packed in with the various kits. When it comes to the Labo VR Kit, the team actually had an idea that eventually morphed into the Toy-Con Wind Pedal. The original idea from the team included a propeller on top of the player's head that would create wind when you blew into a straw. As development rolled on, the team decided a pedal would make a lot more sense. 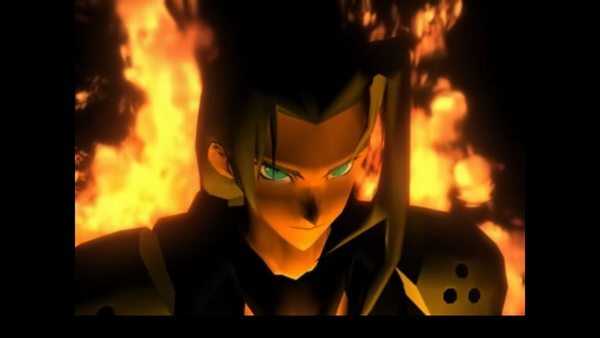 Nintendo fans have waited a ridiculously long time for Final Fantasy VII to come their way, and that dream finally came true with the Switch. Unfortunately, there seems to be a bug that can halt your progress no matter how you try to get around it. Even worse, this is a bug that was caught by the public in the PC version nearly a year ago. The bug crops up roughly 3 hours into the game when you're tasked with climbing up the plate in Wall Market to get to Shinra HQ. For whatever reason, there is something causing an issue with one of the game's triggers. After a few tasks, you're supposed to follow a kid that leads you to a series of caverns. If this bug hits you, the kid never shows up, and there's no pipe for entry. At this point, the only option you have is to scrap your save completely and start fresh. You'd think this issue would have been taken care of for the Switch release, especially when considering it being logged by players of the PC version nearly a year ago. Hopefully Square-Enix can get a fix out to players soon. New content approaches! 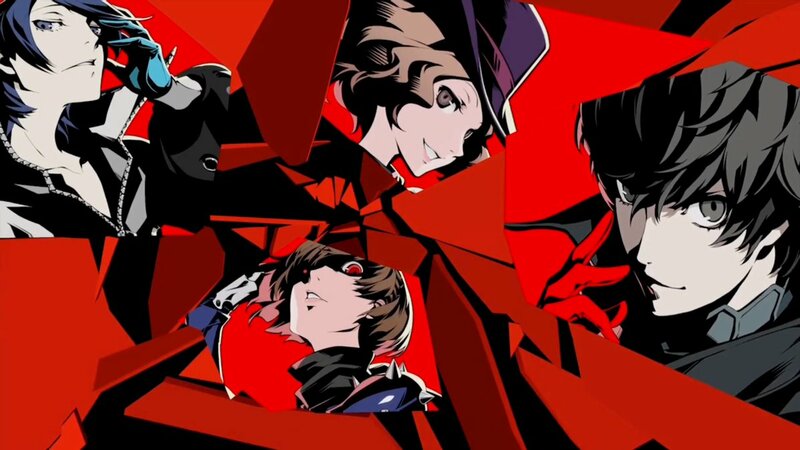 Joker joins the playable roster, and updates in Ver. 3.0 include additional functionality, such as a stage builder, video editing, and Smash World integration. Create your own original stages! It's easy to draw your ideas using the touch screen in handheld mode. Share the stages you've built so other players around the world will get to play on them!